Yes, our time stretcher works great in real-time too. I recommend to use the SuperpoweredAdvancedAudioPlayer for this, which is a convenient solution having a player with time stretching. Check the cross example project (either iOS or Android). 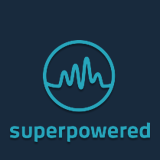 Do you have any tutorial or documentation on how to set up superpowered with android studio?